Former Olympian and Saratogian heads to PyeongChang with the US Paralympic Team. I never gave much thought to the Paralympics. The Olympics always captivated me, but after two weeks of being glued to the TV, my hype would die down, just in time for the third, less-talked-about week of sports coverage. Misty May Treanor and Kerry Walsh were my idols, but I couldn’t name one US Paralympic athlete. Then, in 2016, my dad, skiing/hiking/biking extraordinaire, had a spinal stroke and became paralyzed. For someone who lived for powder days, Wednesday night mountain bike rides with his buddies at Spier Falls and hiking the Adirondack High Peaks with his daughters, losing function of his lower body was devastating. A year passed, full of doctor’s visits, physical therapy and designing a handicap accessible house. But after settling in to his new life, my dad was ready to get back out there. He was awarded a grant from the Kelly Brush Foundation for a handcycle—a three-wheeled, low-to-the-ground bike powered by the upper body. He took sailing lessons through the Y Knot program at Camp Chingachgook and won his first regatta. And this winter, he finally got back on the snow through adaptive ski programs at Pico Mountain, Jiminy Peak and Windham Mountain. Now that I’ve seen, firsthand, the strength and determination it takes for a person with a disability to participate in sports, my respect for Paralympic athletes has increased exponentially. The same is true for US Paralympics Nordic Skiing Director and Saratoga Springs native John Farra. After competing on the 1992 US Olympic cross-country skiing team in Albertville, France, Farra began working with the Olympic team and traveled to the 2010 Games in Vancouver as the Nordic Director for the US Ski Team. 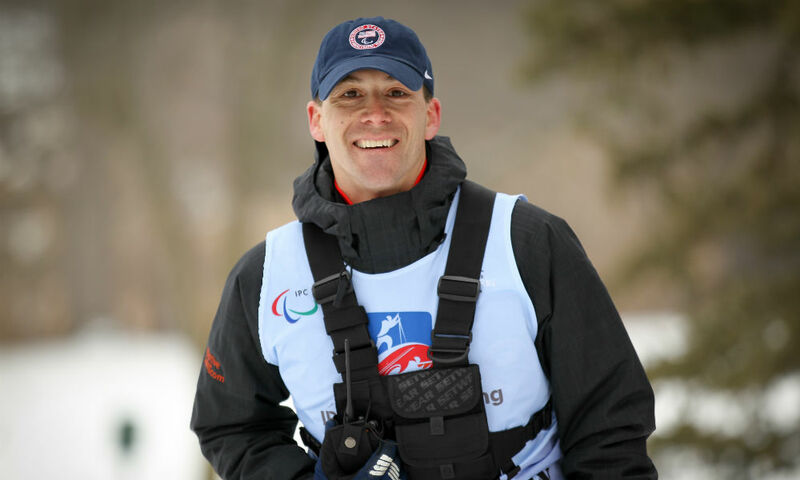 In 2011, he made the switch to working with the Paralympic Nordic Team and is headed to PyeongChang for this year’s Winter Paralympics. Farra, who now lives in Heber City, UT, was featured as one of saratoga living’s Hometown Olympians in the “I Do!” issue this February. I circled back with him to discuss the US’ chances at the Winter Paralympics. Why did you make the switch from the Olympic to the Paralympic Nordic Team? I was called by someone at the US Olympic Committee and I told him, “You have the wrong guy,” since I didn’t know anything about Paralympic athletes and didn’t feel I could add any value to the program. And frankly, I was doing the job I felt well suited for as the Nordic Director at the US Ski Team, and we were starting to have some success with our programs. But he asked to chat for five minutes and pointed out that these are elite athletes that need the same kind of high-performance strategies that Olympic athletes need, and I was inspired to see if I could help build the program numbers and ultimately, the results of the program. 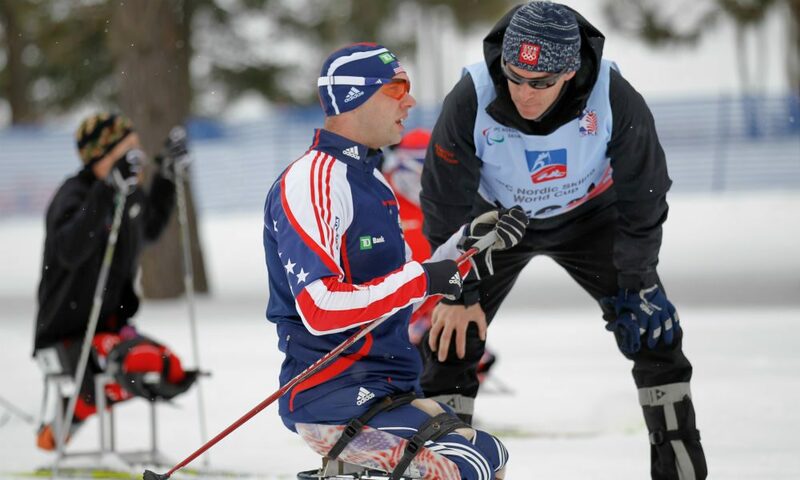 What does your job as Paralympics Nordic Skiing Director entail? I manage our domestic development and our international competition programs with our National Team and Development Team’s athletes and staff. In what ways does working with Paralympic athletes differ from working with Olympic Athletes? Do the mindsets of the athletes differ in any way? It’s really not terribly different. Our top National Team athletes need the same kinds of elite strategies—physiology, strength, nutrition/recovery and performance psychology—that Olympic athletes require. The biggest difference is helping to manage and advance the specialized equipment that’s required for the sitting class of Nordic skiers, and making sure we have hotels that are accessible in the remote locations that we travel to around the world. How do you think the US Paralympic Nordic Team will do in PyeongChang? Is there a specific athlete to watch? We enter these games with terrific progress with our program since Sochi. Six of our 13 athletes have won medals in World Championships and World Cup competition within the past year, so if we all execute wherever possible, I would expect we could significantly improve our three-medal result in Sochi. Our sitting athlete Oksana Masters comes in as a World Champion in Cross Country and Biathlon, so she’ll be one particular athlete to watch for sure. What has been the best moment of your career working with the Paralympics? The most powerful moments are when our team finds success at the Paralympic Games and at the World Championships, but I am guessing my best moment is still to come…when we hear our National Anthem in PyeongChang! Why should Saratogians—and the world—care about the Paralympics? Watching the best athletes in the world compete at the highest level of sport is always a thrill for me, but watching athletes who must deal with limb deficiency, visual imparity or a spinal cord injury adds a level of intensity and respect for how hard the pursuit of excellence must be for these athletes. I went to the Olympics for Cross Country skiing, but I often wonder if I would have been tough enough to compete with one of these impairments…not so sure! How did growing up in Saratoga facilitate your involvement in Nordic skiing? I had a very unique entry into Nordic Sport, as my folks ran the Farra Family Ski Touring center out of the Saratoga Springs State Park facilities on the weekends in the winter. I had the chance to be on skis every weekend of the winter, so when the lollipop races happened for the kids, I was always able to score one with my unfair advantage of being on skis all the time. What do you miss most about living here? Saratoga Springs is my hometown, and I consider myself very fortunate to have been able to grow up there. I miss the Izzo family, which was my second family growing up; and Roma Foods, which has the best provolone and Genoa salami on the planet; and Bruegger’s Bagels, which I can’t get out here in the mountains of Utah!